New Heritage Trace at Crosswater Village community! Another 100% Energy Star Certified Home built by Providence Homes! 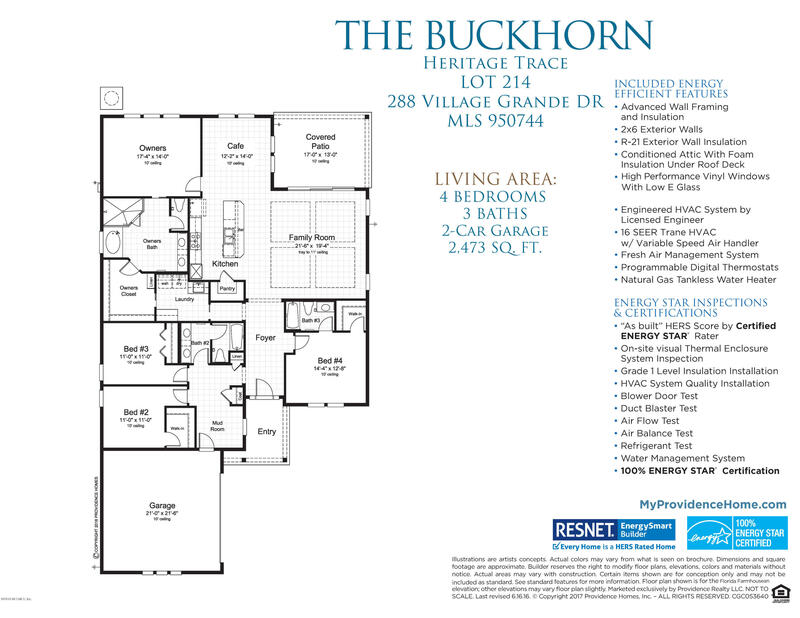 The Buckhorn plan with 4 bedrooms, 3 baths, kitchen open to family room and cafe, 2 car courtyard garage, 8' doors, covered patio, etc. 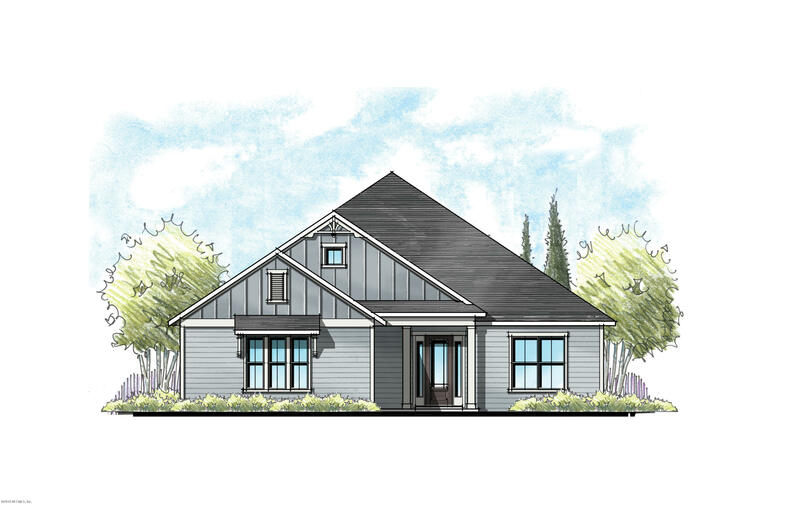 Home located on conservation homesite. FEBRUARY 2019 completion. Nocatee Pkwy to Crosswater Pkwy. Head S on Crosswater Pkwy approx 3 mi. At 3rd traffic circle make a R onto Crosswater Lake Dr. Make 1st left onto Village Landing Dr. Turn Right onto Village Grand. 288 Village Grande Dr is a 2,473 (*estimated) square foot home with 4 bedrooms and 3 bathrooms located in Ponte Vedra FL, ST. JOHNS County. This property is listed for sale at $419,900 and is currently active and accepting offers.